How Gardening Sharpens Your Brain: It's the Bacteria! The bacteria in the garden soil may explain why gardeners are such lovely, smart people and live forever. It may also explain why a walk in nature gives us such an energy boost. 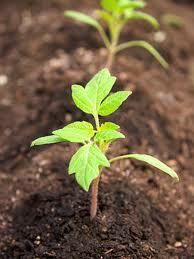 There is a natural bacteria called mycobacterium vaccae (M. vaccae) that is found in healthy soil. How do you benefit from the bacteria? By working in the soil, this healthy cloud of bacteria swirls around you. By breathing it in, it helps stimulate the growth of brain cells. According to scientists at Sage Colleges in New York, research indicates that M. vaccae may play a role in reducing anxiety and improving the ability to learn new tasks. It is suggested that our children will be better learners if they spend more time in the garden. Rumor has it that gardeners are happier and live forever. One of the most charming gardeners I know, Mother Gibbens, from Stevenage, England, at 100 years old was still gardening. She told me she had to live so long because there was always something to plan in the garden and something to look forward to. A recent article in a woman's magazine discussed how re-potting plants is a great way to reduce stress. I find this true whenever I play with my bunch of plants - and it may be due to the bacteria in the soil. What's important, however, is to remember that we continue to destroy our soil by using toxic pesticides. We grow massive lawns that require pesticides to kill what we call weeds such as dandelions - which can be eaten in salads, or even made into tea and wine and they grow naturally (tours are given in New York City showing how to forage for wild free food, which includes dandelions - see link below). Healthy soil is not filled with chemicals. I appreciate the concept of the English garden where the front is used for growing lovely plants, often herbs like lavender and sloe (as Mother Gibbens grew and shared with me. She even made her own sloe gin - delightful!). In addition to the benefits of a healthy bacteria, a garden provides the many additional benefits of fresh fruits and vegetables, flowers, herbs, spices and trees. It will attract wildlife which will help balance the garden without pesticide. 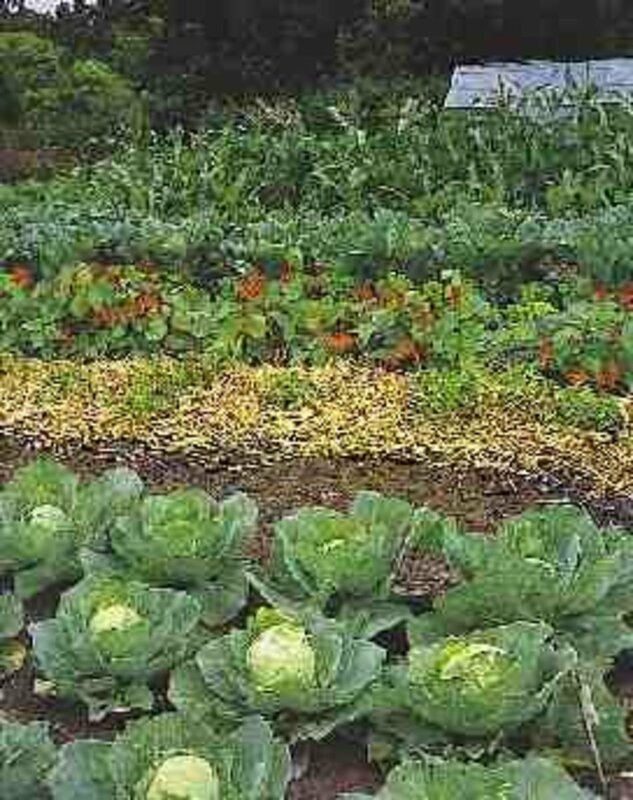 As we look for healthy fresh food, more urban gardens and farms are popping up. In fact, in the city of Milwaukee, Wisconsin, Will Allen, the urban farmer, has created a massive urban farm over several acres - and was recognized with a MacArthur award of $500,000. See link below. Thanks so much Mountain Blossoms - I can instantly tell that you are a sharp gardener. Yay! There is so much of it howcurecancer - and instead we are destroying it. Every time we use chemicals in the garden or on those great big lawns we are killing the soil and its bacteria. We won't learn because we are too easily sold as consumers. There's a reason why there is so much runoff from lawns - once the soil dies and the worms - there is no more aeration. This is for the very first time ,I read about natural bacteria! Hello Lord Bryan - always an honor to hear from you. I too have enjoyed the farmer's markets when I visited my delightful cousins in England. And the food just smelled and looked soooo good. Almost different from what I see here. Imagine being able to eat raw Brussels sprouts. It's on my list now - moving out of the city and into a garden (and I guess a house somewhere). I don't think I replied to this. I keep all your posts to read again and again. I do not garden. I have no interest in it. Having said that, I do love the veggies that come from a garden. Here in England, the town where we live has a farmer's market. All of our fruits and veggies are bought weekly from there. Or just about all of them. The aroma in the summer is wonderful. The spices fill the air. This is one of my thrills of not linving the a city where I'd rather be. Fresh food. My late mother-in-law would tend our garden. She said it kept here alive watching things grow. Planning ahead. Thank you for this. You're welcome TheVacationLady! I can't wait to get back out there in the soil. Thanks for commenting! Yay! How fabulous! Who knew bacteria could be so beneficial! Thanks for the great information! Sounds great Nell Rose. Your plants are working for you. I just repotted a plant and wow did I feel great. I always thought it was because I was glad to get the job done - but I see there is more too it. Wonderful! Ah such is the case here in NYC, too PaperNotes - concrete in most places. But I do have lots of plants right now and repotting feels good. Maybe it's that soil or because they look so good. I'm glad you found the hub interesting. Thanks for writing! Oh this id very interesting. I'd love to work on my own garden but unfortunately, all ground surfaces here at home are concreted, not even a small place where I could inhale that bacteria to sharpen my brain once in a while. It's something I look forward to also Ign Andy - spending a great deal of time in the garden and preparing fresh food. Hey, it'll give us both more to hub about. Thanks for commenting! Wonderful hub, I have a small garden at the back. Though not much time I spend, but when I retired I plan to build herbs and veggie garden for why cooking hobby. Yes, good people should live to 100 plus. Glad you enjoyed the hub. My gardening is very limited right now too but I am working on a nice earthy place once again. Thanks for the compliment net2010 - I'm glad you enjoyed. So far so good ethel smith - seems the farming/gardening people I've known have had that extra bit of spark around them. I hope this is true. It would be good to think so. Wow travel_man1971 - what a fabulous garden you have - and loads of fresh food. And I am sure, absolutely positive that it keeps you youthful looking! Of course it does. Thanks for writing and sharing a bit of your garden! Yay! I've read about Mother Gibbens, too. She becamme a classic of her own. 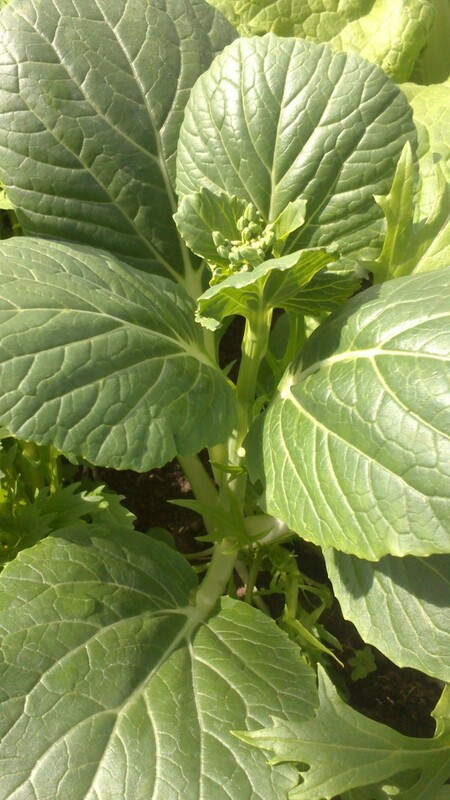 Right now, my breather after writing sets of hub is to visit my backyard garden. I grow American papaya, right now...some eggplants, cassava, squash, gabi or taro (tropical plant), chinese swamp cabbage, okra (lady's finger). It really relaxes me and makes me youthful looking (heheh!) and happy. Isn't it wonderful Peggy W - to have something with so many benefits - and I am sure we will discover more as time goes by. Hope you will share some of your gardening ideas with us. And that's how I felt Amber Allen - so satisfied when I worked in my garden - and for a ton of food it took so little space. What a pleasure. There is certainly something very satisfying to the soul when you dig into the soil. Now I know why! I'm so glad it works for you and I certainly agree. It is where I am happiest. So that's why I feel so good after working in my garden! I'm with you Coolmon2009 - this is my goal now to have a garden and spend my life there. Thanks for commenting! This is news to me thanks for the information. I already wanted a garden, but this article just makes me want it more. Good article ! I think it is all the things you thought it was Delores Monet - and just add the bacteria - and it gets even better! How wonderful! Thanks for writing! BK - and here I thought it was just the fresh air and sunshine. And the oxygen given off by plants. And you say it's a bacteria? Well, they are now my favorite germs! It is wonderful exercise myawn. I can work in the yard all day and lose track of time. That doesn't happen anywhere else. And how great to give the birds and more a happy place to live! Thanks for writing! I just love the fresh air outside,the birds and butterflies.It is good excerise for me. You're very welcome Varenya. Just thinking about gardening makes me feel good. It makes so much sense that something we should do for survival is actually enjoyable. Thanks for writing! I never heard about this, but now I understand why it's so pleasant and delightful stay and work in the garden, I love greatly get dirty with black earth and perceive the very nice smell that emanates. Many thanks for such a beautiful and interesting hub! I agree LivingFood - it's how I want to live now - puttering in the garden. Thanks for commenting! 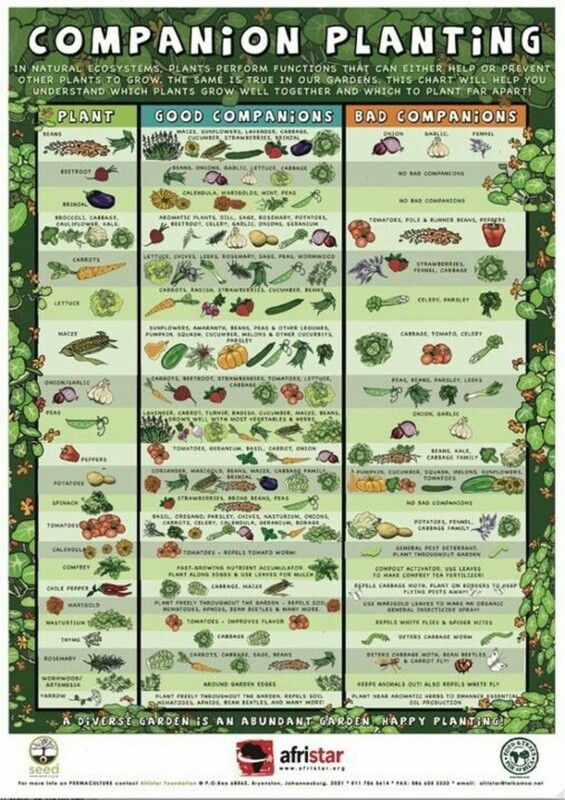 Another good reason for finding a place where i can grow a garden! Sally's Trove - I'm so glad you said that because my mother said the same thing - ah the wisdom that we ignored when we got older. I remember being so happy playing in dirt - it seems children become so focused and intent and it's good exercise too. I'm glad more elementary schools are including gardens. One hubber named Prasetio30 wrote about people eating dirt - it shocked many people but I knew they were on to something. So true TheVactionLady - I loved visiting the English gardens of friends when I was in England. I remember here in NY about 30 years ago a neighbor took me to see his friend's English garden - while we were all sweating to keep up that front lawn - this person had an abundance of flowers and herbs - it smelled lovely and was a pleasure to look at - of course we suburbanites were shocked by it all. Thank you dear Darlene Sabella. I'm glad you will share it - as a matter of fact I need to do that too. I think so many of us would benefit from a garden on so many levels. Sterling Carter I am sold. I can see why that fresh earthy smell would be attractive - not to mention that you've done some exercise and no doubt got the pheromones pumping. And then those modern day colognes are so filled with chemicals - nope, no attraction there. I'm sure we were meant to garden and farm because where else would our basic need of food come from if we didn't grow it. Sounds like you have a great fun topic for a new hub! Growing up on a farm I always thought the smell of freshly turned over or tilled soil was wonderful. I love it. But I have always hated getting dirty LOL. Anyway that smell, the fresh earth scent is also used as a cover scent for hunters. It works very well in fact in comforting big game animals. But the interesting thing is this. When I use these cover scents or simply ad some good fresh health loam to my bag of hunting cloths. More then just the animals find it comforting. I find oddly enough the women love the smell. I have 3 daughters and all three of them plus my wife love that smell. I thought it was just because that they have been subjected to it so many times over the years. But... within the past few years I have attended events where I didn't have time to shower and change "Cologne" That is where I had so many women ask me what new fragrance I was wearing and where they could buy it for their husbands. SO guys if you need a date and are unsure about how you should smell I suggest going out and playing in the dirt. Who knows it might be the perfect aphrodisiac. Well this is just WOnDERFUL information! I've never heard of this bacteria. What a fabulous and informative hub. I love how the English are so smart and have no need for a lawn....there are so many more interesting things to plant! I didn't know anything about mycobacterium vaccae until I read your Hub. This is fascinating information and brings new insights into my mother's claim that children who eat dirt have better immune systems than those who don't. Perhaps they have a better ability to learn new tasks, too! A garden, being a world unto itself, brings both inspiration and motivation, by way of example and metaphor, to any area of life. When you are inspired and motivated, I think you live longer and better. Knowing you are so wise about coffee cameiciob - it makes me think of the difference between naturally shade grown coffee and that grown with pesticides - what a difference! And nothing lovelier than a garden in the spring. Mmmmm. I hope you do plant a garden Veronica Allen and then write all about it. I've never had better food than that I picked from the garden. Whew! Hello thoughtforce! when we think about it and all the worms and everything else that happens to and in the soil - it all adds up. And at the moment I'm thinking about how beneficial mud baths are when done at the spa. Lovely. Sounds amazing akirchner and I'm going to look up Butchart Gardens right now - I love these wonderful stories. Sounds like a hub idea. Free? PWalker - the botanical gardens in Hawaii are free? And we always hear how expensive Hawaii is (although recently it was reported that NYC costs 4xs more than the national average - but I know its more). There is one day the botanical gardens near me is free. Of course you would have all the tropical plants - lovely! Yeah, BkC, I guess I'm luckier than I think, and our garden is free. You can even walk in it when it's closed - there are pathways on the side of the two gates that block cars from coming through that you can pass through. And then there's the beach ... I really need to get out more and appreciate it all! I have gone to Butchart Gardens several times and it is AMAZING - all started and mostly done by a woman in a wheelchair. She used ropes to lower herself down the sides of the cliffs and plant - simply amazing! I love gardening because it renews the soul in a way nothing else does. Useful information in this hub. 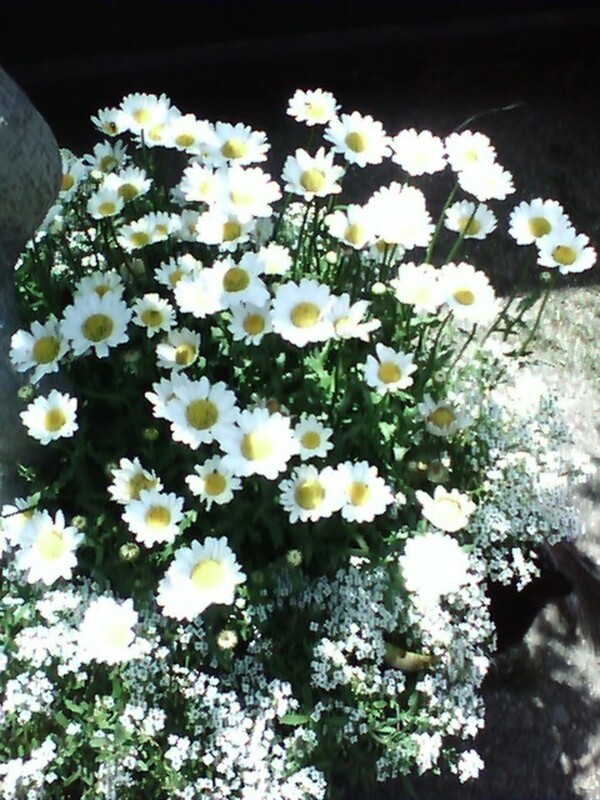 I known that the soil is importent in the garden, but I thought mainly of the flowers and seeds that grows in it! Glad that it´s also good for humans! I need to hurry up and plant myself a garden BkCreative. While I knew how relaxing gardening could be, I never knew just how beneficial the bacteria is. BkCreative, how amazing…maybe that’s why most people want to go outside gardening as soon as the spring comes. Unfortunately you are right about chemicals in the soil and I cannot believe some people are so irresponsible and do not care about the effects of pesticides. I hope lots of people will read your hub. Voted up and rated. How lovely Shalini Kagal that your daughter could care for and enjoy a garden. What a gift. I'm finding here in NYC more schools are creating onsite gardens for children - it makes so much sense on so many levels. Thanks so much for writing. And you are very welcome, Hello, hello,! Ah, Pollyannalana - the mud pies of course. I would love to do that. We had so much fun as children where there always seemed to be parks nearby - which have magically disappeared. I did some repotting and I felt so good and my plants have responded so beautifully. Maybe this is why squirrels and cats and others have so much fun out in the garden. It's such a lovely place. Thanks for mentioning the botanical gardens PWalker281 - as a matter of fact there is a nice one here in Brooklyn and it is even free on Tuesday. I should go. How lovely that you get to enjoy all the natural beauty of Hawaii. Wow! Great hub, BkCreative! I love walking in the botanical garden here in Hawaii, have always enjoyed walking in nature. It is definitely a stress reducer? Never heard of the bacterium, though. Makes we wanna play in the dirt! I never really thought about it but I can see that must be true. I love putting my hands in the dirt (it washes off)and I haven't messed so much in dirt this year but what I have is always fun and relaxing. Some say pets relax you but my 16 year old cat Lilly drives me nuts! I have to worry about her like a child now she has changed her routine and lays in the sun when we are having stroke warnings! I think tomorrow I will spread newspaper over my table and repot things that need it, who knows, I might make mud pies. Will be a few weeks probably before I can spend time outside with it, but I do mow some, maybe that stirs me up some dirt smells. Great hub. You always find good ideas. Oh and by the way I have a Brian in the family that I spell Brain about half the time, but then, he is one. You're very welcome einron. Just talking about plants and gardens makes us feel better. I'm in a condo too right now - but miss the garden most of all and will have to return. Thanks so much for commenting and the compliment! Thanks for a most wonderful hub. Never connect the bacteria to the plants. Used to live in a house with a garden, but now living in a condo with only (22)potted plants. Have to bring in some plants for the winter. I love the beauty of the different colours in the flowers. Yes, msorensson - we all benefit in the best ways possible. Mother Gibbens was a super gardener theherbivorehippi - it was a thrill to visit her when I was in England and walk through her front yard of beauty and then her backyard. She would always send me lavender. I still have some. And she would bring in beautiful bouquets. A true gardener. Thank you GreenThumbLady - Mother Gibbens has inspired me - it's how I want to live my life - in the garden. And who isn't stressed timorous - we now know it causes a whole host if health issues. Yes, reducing stress is reason enough for me to work in the yard. Enjoy your lovely garden jayb23 - don't you just feel the brain cells working. What a pleasure. It seems t.elia - that all the gardeners agree that it relieves stress. What a benefit. I can dig it Micky Dee! You're welcome HappyHer! Enjoy your rich, moist soil. It even sound good. I've enjoyed your hubs about gardening lmmartin. And I could certainly go for the tropical look in FL. I just love palm trees. Thanks so much for the comments. What a smart bunch of people. Another great reason to dig my hands into the rich, moist soil. I love to work with plants. Thank you for a great hub! I'd better go do some digging. Thank you BK! I find gardening very therapeutic, and a magnificent way of alleviating stress.Very good hub. Well this was completely new to me. Wonderful hub Bkcreative...rated up and bookmarked too. Iam on my to gardening. Keep up the good work. Oh indeed...gardening is a very relaxing and peaceful avocation. I'm not sure it makes me smarter, but anything that reduces stress is bound to lengthen your life a little bit. Cheers, BK. This is simply brilliant! The earth, bacteria and home grown goods can never be underestimated. There is a reason why Mother Gibbens has lived so long. What joy it is to plant a tiny seed and nurture it into something purely wonderful. I shall link to my hubs! Rated up for sure!! Oh I love that Mother Gibbens lives so long because she simply must! She has to tend to her garden and who else will take care of it as well as her? This is just a wonderful hub! Of course gardeners are happier, healthier and live longer! We live off the earth! I'm going to link this to a few of my hubs. This is just fabulous! It is good all around because you are helping to create beauty and harmony. Yes, it's all the old things that are new once again. I'm glad we have the venue to share this information. Thanks for commenting! The bacteria angle is certainly new to me. Thank you TheListLady - I agree with you. I found such happiness in the garden and then when I meet other gardeners they were always so happy and content...and yes smart. What a lovely place...a garden. I agree with you Paradise7 - you grow things and they blossom into such beauty that is so great to look at. And I have always found children to love digging in the soil. I hope we can give that back to them. Wonderful hub! I always thought there was something about a garden, something about growing things, that stimulates the creative imagination, as well. You know I can really understand the energy boost because when I had a garden I could work in it for hours, never getting tired and would come in only because it was getting dark. And I think, yes, I was smarter, whereas in years past I have felt kind of...well dimwitted. Wonderful hub and I know I have to return to gardening! Rated up! Thanks so much for a good read. You're welcome Wanderlust. I keep reading that there is good bacteria and bad - I suppose we need to know the difference. I think I have more fun in the garden than anywhere else! Very interesting. Bacteria, who knew! Thanks. Hello jim10 - I hope it works soon for you too and you create a hub about it. Thanks so much Brian! I'm glad your brain caught that! You must be a gardener! And by the way - I know some pretty smart Brians! do you mean Brian or Brain! I recently started gardening. I really hope it starts working soon. I am just horrible at remembering things my wife expects me to.